All cats have the unique grace and elegance, but when you see these features at the big ones it fascinates you even more: it seems incredible that such a huge animal can move so quickly and smoothly. On this Leo big cat photo stitch free embroidery design you see the beautiful big cat which is ready for jumping to its prey. 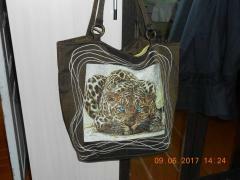 You need to be brave enough to choose this picture for decoration of your clothes or bag. This is simple light piece of fabric which seems to be clear sheet of paper for painting. There is beautiful portrait of big dog on it executed in realistic manner. 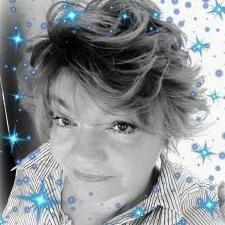 It looks like painted by aqua colors or oil paints. 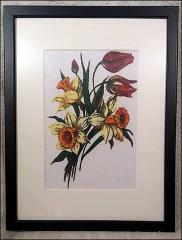 But if you look at it carefully you may find that it is embroidery! It is truly difficult to believe. 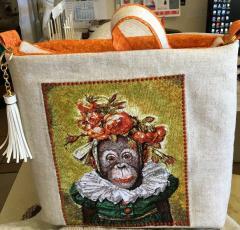 This is nice embroidered woman’s bag with bright linen. It has spacious body which allows to carry all things you need every day. 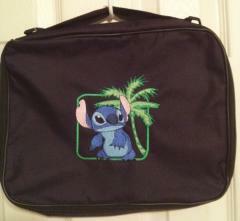 Its front side is decorated with Monkey photo stitch free embroidery design. This is portrait of little funny monkey dressed in Renaissance style. Picture is executed in very realistic manner: it looks absolutely like true photo of animal. Hi everyone - I'm new to embroidery. I did some running-stitch tests on a piece of leather, and I noticed that every single time the bottom stitch comes out nicely, while the topstitch looks like one straight line. What can I do to improve the quality? In the attached picture, the very fist and last running stitches are the "top stitch". The center stitching was when I turned the leather upside down and sewn it - so what you're seeing is the bottom-stitch. Thanks for the help! I need something digitized in photo stitch for a funeral this week. Can someone help me? In My Editor embroidery converter software, you can open your machine embroidery design in several ways. The first one is to select File > Open. The second is to select File > Browse to find the embroidery design on your computer. The third is to click on this icon on toolbar. Select the design you want and click on Open. Voila! 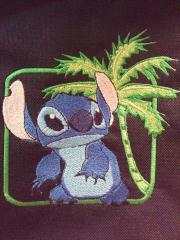 To save your embroideyr design in another stitch format, select File > Save As. 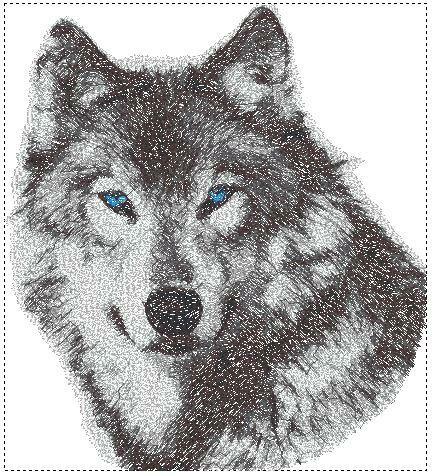 Choose the desired format (determined by the type of your embroidery machine, ex. for BROTHER PR 1000- you can choose PES or DST) from the drop-down list. Now press Save and store it wherever you want. When using team names with the pre digitized font " Arial" the stitch files created all have the center offsetto the right . I then have to open each file and use the "Design center" on the home ribbon to correct the problem. once saved the file then leaves out all trims when run on the machine. when I open the file it shows all the trims are there. Is this just a setting I need to configure for centering and trims? When I go to edit stitches every time I click on the screen anywhere, my embroidery design redraws? If I click twice it redraws two times. I am running Windows 7 and this is the only problem I am having. Can someone help or have some in site?